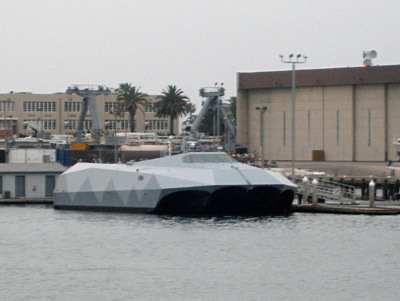 I saw a ‘stealth boat’ today for the first time. If you’re a Bond villain and need to pinch one of these for your daily commute, this one can be found in San Diego harbour. If you look very carefully.